Experts tell us why being thankful will improve your life and The New York Times tells us more. Harvard agrees. 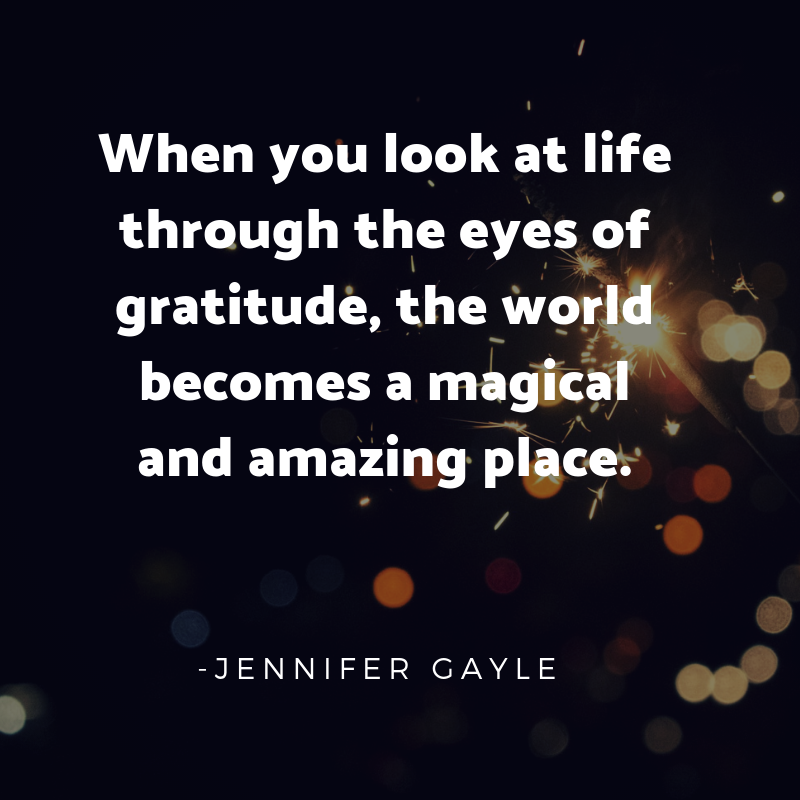 So let's share the happiness - I invite you to join me for a free 30-day gratitude challenge from November 1-30, 2018. My own gratitude practice started over 5 years ago. On September 10, 2013 a dear friend emailed a small group of women with an invitation to participate in a daily practice: we would send the group an e-mail with three things we were grateful for each day. It started off simple but over the months and years we've shared amazing joys and heartbreaking losses. Love of avocados and gratitude for warm homes, loving families, and food on the table. Some days the gratitudes flow freely, while others it is truly an exercise. I have to say it is one of the most important parts of my life - taking time to acknowledge all of the good even on the tough days. This challenge is even more simple - write down one thing each day you are grateful for. You can keep it to yourself in a journal or on a sticky note, or post on social media (with the hashtag #my30gratitudes) to spread happiness to your friends. Let me know you're participating and I'll send a little inspiration throughout the month!